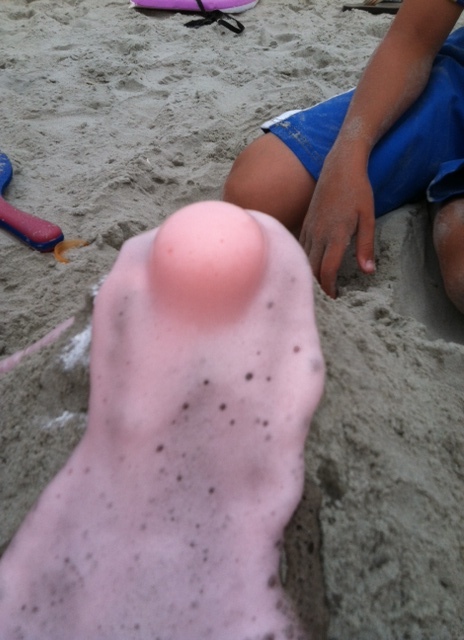 Beach Volcano – A Science Experiment That’s Fun!! So, I assembled the things that were needed: an empty bottle, water, food coloring, baking soda and white vinegar. I wasn’t sure what size bottle the original blogger used, but I only had a choice in our house between a large Gatorade bottle or an eight-ounce bottle of water. I wanted a bigger splash, so I went with the Gatorade. 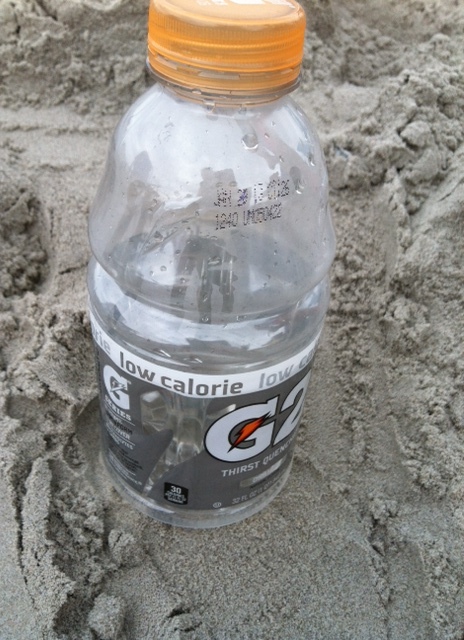 Before going to the beach, I filled the bottle half-way with tap water. 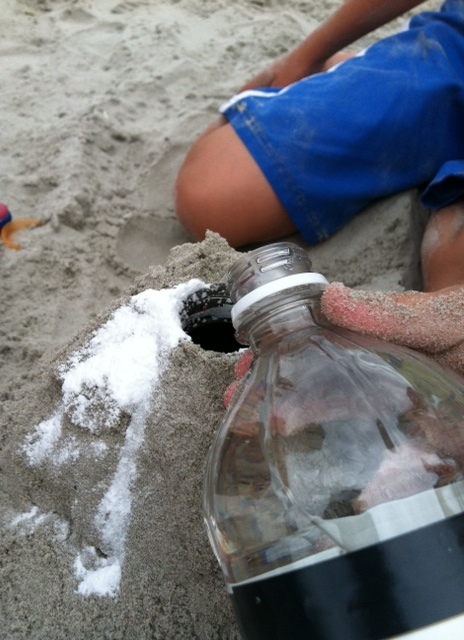 Next, the kids buried the bottle in the sand to make it look like a volcano. And The Princess added about 3/4 cup of vinegar. 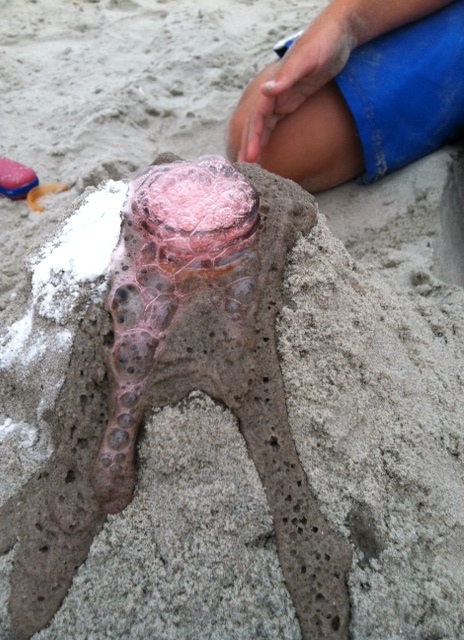 We started to get some rumbling, but the lava didn’t quite look thick enough. They really enjoyed the activity. 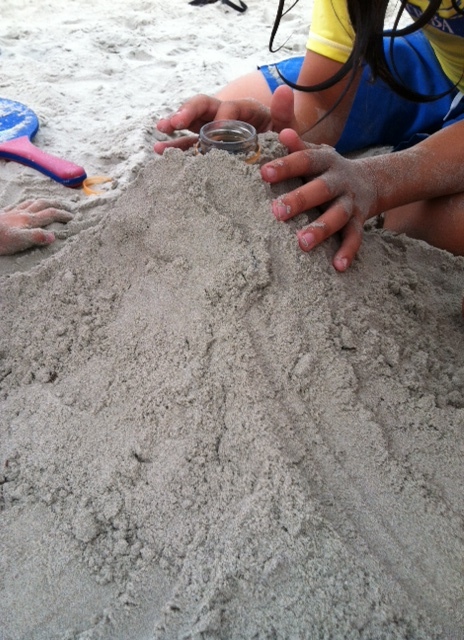 In fact, they did it over and over again until all of the baking soda and vinegar were gone. 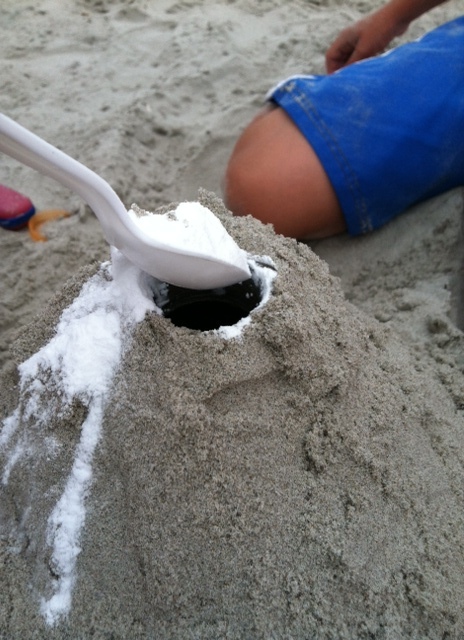 We also did it with salt water, which didn’t make any difference in the outcome. 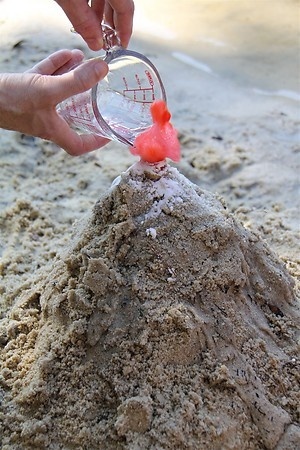 The original blogger’s “lava” looks a bit thicker than ours. Perhaps that happens if you use a smaller bottle. She also said that she only used two tablespoons of baking soda, but we needed to use a few more than that. Again, that could be due to the size of our bottle. 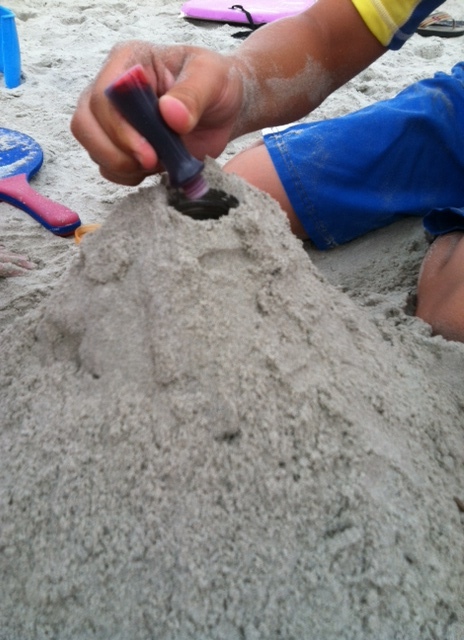 Overall a fun activity, and it costs a lot less than another one of those plastic sandcastle molds!